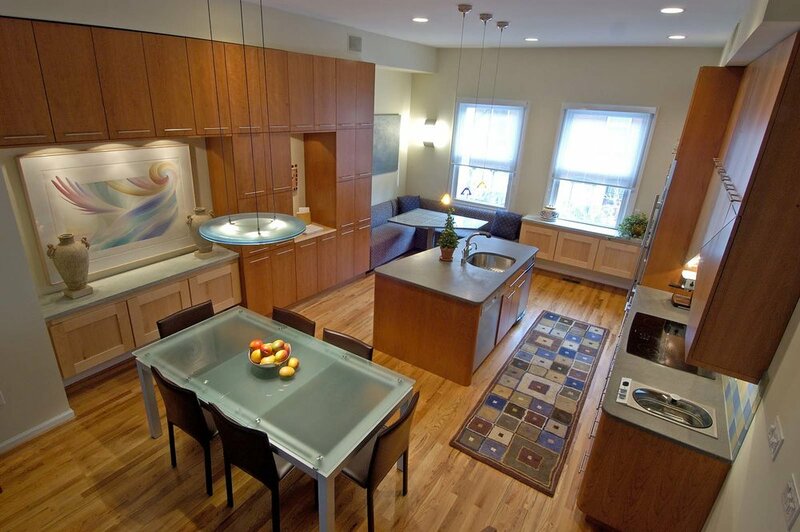 A Chrysalis award winner for kitchens under $75,000, this 500-square-foot remodel in Philadelphia is optimized for social gatherings with its free-flowing floor plan and generous banquette seating. 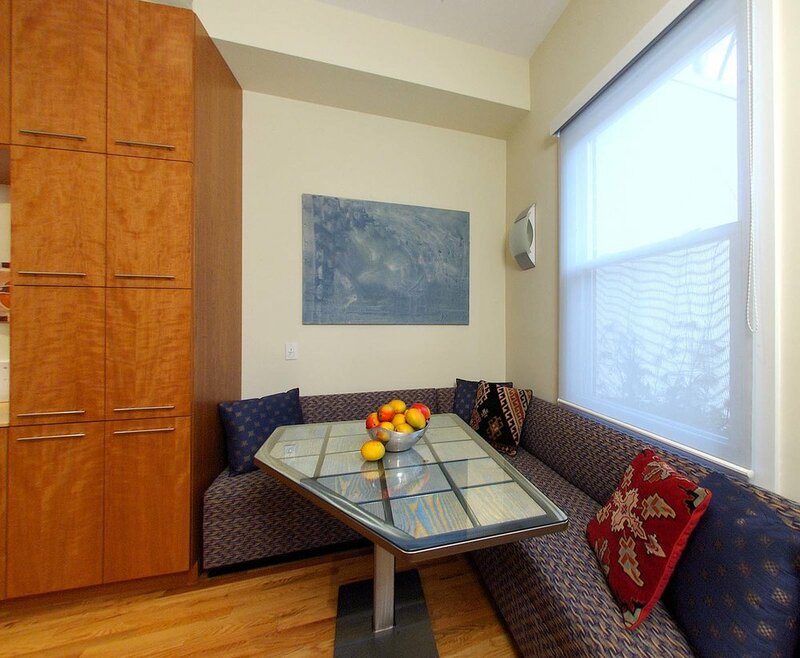 The banquette is angled, as are a convex-shaped island and table, to create visual interest. 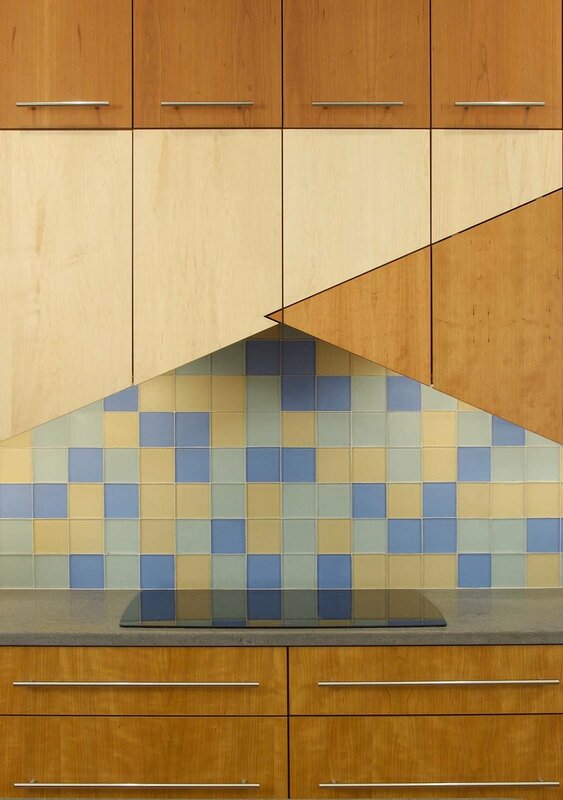 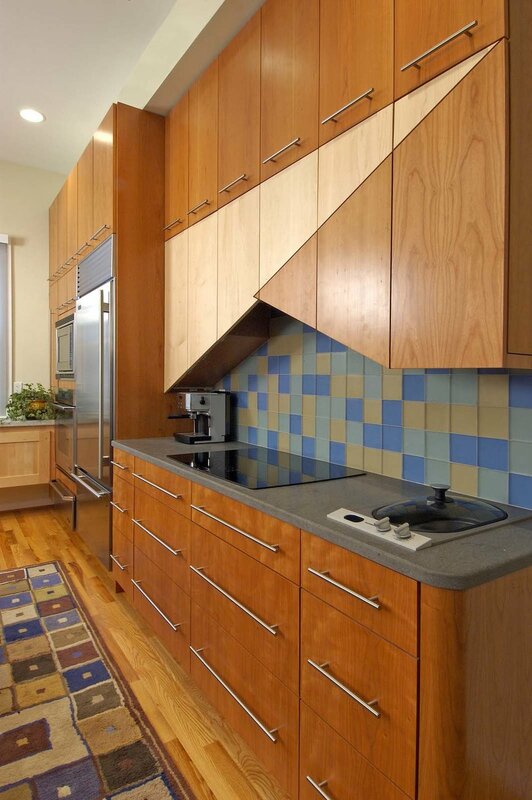 Above a cooktop, a pair of triangles, in contrasting cherry and maple wood, provides a focal point in the space while concealing a Best ventilation system. 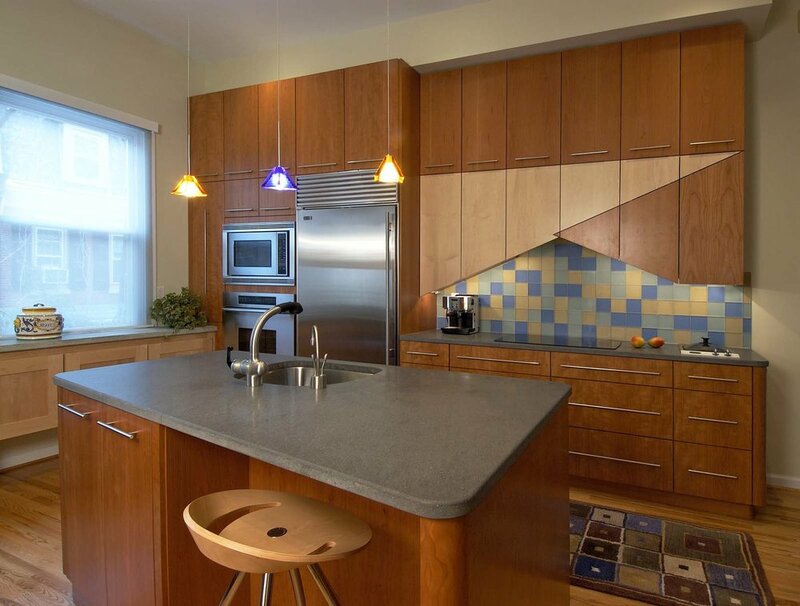 To keep costs down, the design uses cherry cabinets by Crystal Cabinet Works, and Basaltina lava stone and concrete countertops.